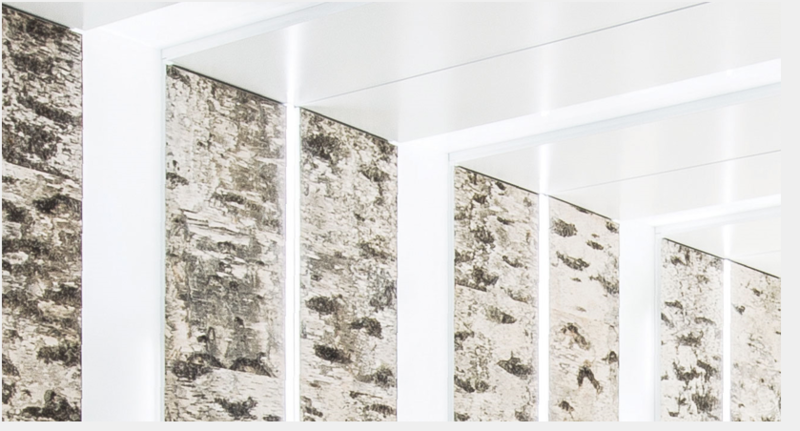 A St James Square office building has undergone a substantial and very high quality refurbishment with Bright Green Technology supplying much of the specialist Architectural linear lighting. The reception area was lit throughout with LED Light Sheet Panel and Linear LED PCB in custom extrusion assemblies concealed in the wall. 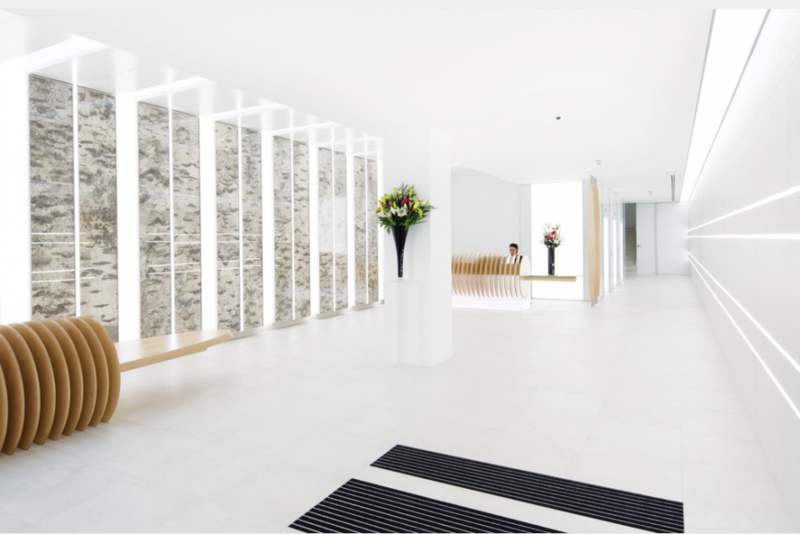 Four, 22m long, linear runs are recessed into the tiled wall, guiding through reception to the lift lobby. Lift lobbies on each floor used LED Light Panel to highlight the lift call buttons. The washrooms used a combination of Bright Green Matrix for wet areas and a continuation of the linear custom profile for the ceilings. Using both LED Light Sheet Panel and Linear from Bright Green Technology ensured complete colour consistency throughout the areas to produce a seamless and stunning effect, including a striking birch bark timber wall in reception. All lighting had dimming modules to allow fine adjustment of brightness and timed control.